The Beastie Boys have long been the godfathers of inappropriate, frat-boy lyrics peppered (sometimes blackened) with political messages. It took them until near middle-age to get the recipe perfect, and by perfect I’m talking 5 stars in the Zagat guide-perfect. The Beastie’s eighth studio album is here and it’s delicious. They’re still mischievous and politically aware but this time they’re not too heavy on either side, and the result is a smooth, satisfying 44 minutes that leaves you happy and licking your chops at the end. Hot Sauce Committee Part 2 (don’t worry, you didn’t miss part one), is the first album in what’s supposed to be a two part set. 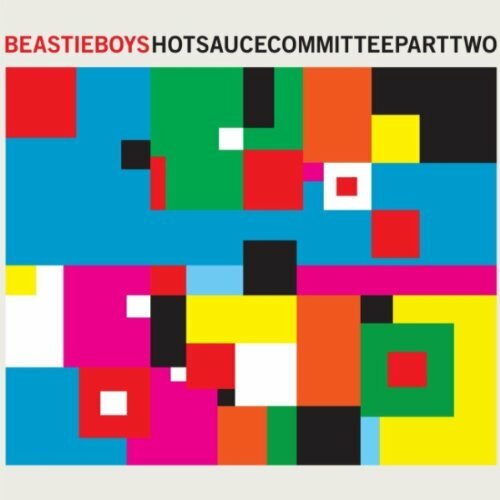 Part One was shelved due to Adam (MCA) Yauch’s battle with cancer, seeing as how Part Two includes songs from what was supposed to be Hot Sauce Committee Part One (a couple tracks were even released in 2009 in anticipation of Part One’s release) I think these 16 tracks are all we’re getting. With 3 bonus tracks, they’re spoiling us like we’ve been very good kids this year. Lest we forget Ad-Rock and Mike D (Adam Horovitz and Michael Diamond, respectively) who sound like the upbeat, younger, prankster brothers to MCA and keep the energy high. The three of them have a fantastic back and forth battle-style delivery throught the album and seem to be on the verge of giggles on "Too Many Rappers" which features rap mega-star Nas. Another high point which also features a guest is "Don't Play No Game That I Can't Win" with dancehall darling Santigold. I didn't like this song at first listen, but having the disc on repeat about three times during a recent roadtrip this song became the standout and is now my go-to when I want something mellow and dancey, a hard feat to accomplish. They even managed to create an honest-to-goodness headbanging track with "Lee Majors Come Again," showing us once and for all we can't pigeonhole these three and I don't know why we'd want to. Hot Sauce Committee Part Two has a little bit of everything and the cohesive element is energy- there's loads of it with plenty to spare. The Boys are on the top of their game while not compromising one iota: they get rap, hip hop, funk, some rock elements and even punk all in one album and it feels like the best party I've ever been to. This disc is a must-have for fans of high-energy, fun, danceable music that just so happens to have some of the best rap lyrics in the game right now.